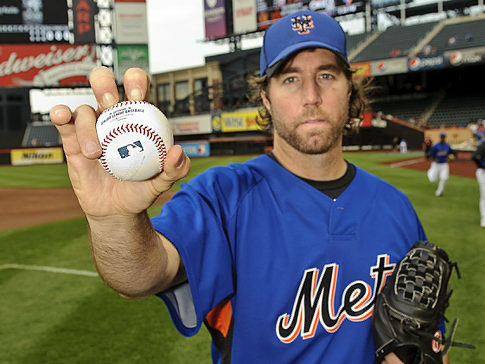 Mets pitcher R.A. Dickey pitched through an injury all season. 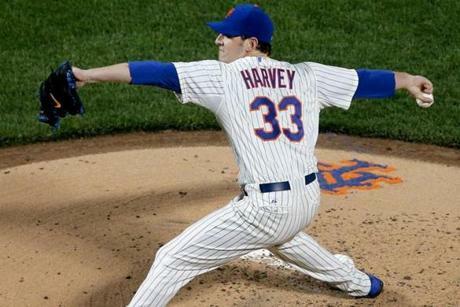 He was the best pitcher in baseball in 2012. New York Mets ace R.A. Dickey’s Cy Young-caliber season has this remarkable wrinkle: It came while pitching with a torn abdominal muscle. After making his final 2012 start on Tuesday night, Dickey revealed he tore and possibly detached the stomach muscle during his second start of the season, on a cold April 13 night in Philadelphia. He has dealt with “dull pain” in his stomach area throughout the season. Dickey knew a couple of months ago, after undergoing an MRI, that he would require postseason surgery. He said he regularly prayed with his wife that he would be able to get through the season. He will undergo surgery in Philadelphia on Oct. 18 to repair the tear, which is on his right side. The knuckleballer felt the pain worsen during Tuesday night’s start in the second inning. “I’m not going to pretend to know what happened inside there, but it was much more significant than I have experienced in the past,” Dickey said. “Whether that is scar tissue coming loose or the tear elongating, it’s total speculation. I have no idea. But because we have a surgery already scheduled for the 18th in the same area, it’s going to get fixed then anyway. “I guess the timing is fortuitous in that the significant pain that I’m feeling now, I hadn’t felt before. But, tonight, it was hard to catch my breath sometimes. It’s obvious that it needs to be taken care of. And we’re going to do that. It’s a pretty non-invasive surgery. I mean, I do have to go under (anesthesia) and they do have to repair a tear, but it should be a quick recovery. Dickey ultimately allowed three runs in six innings and received a no-decision in the Mets’ 4-3 loss to the Miami Marlins. He finished the season with a 20-6 record and 2.73 ERA. 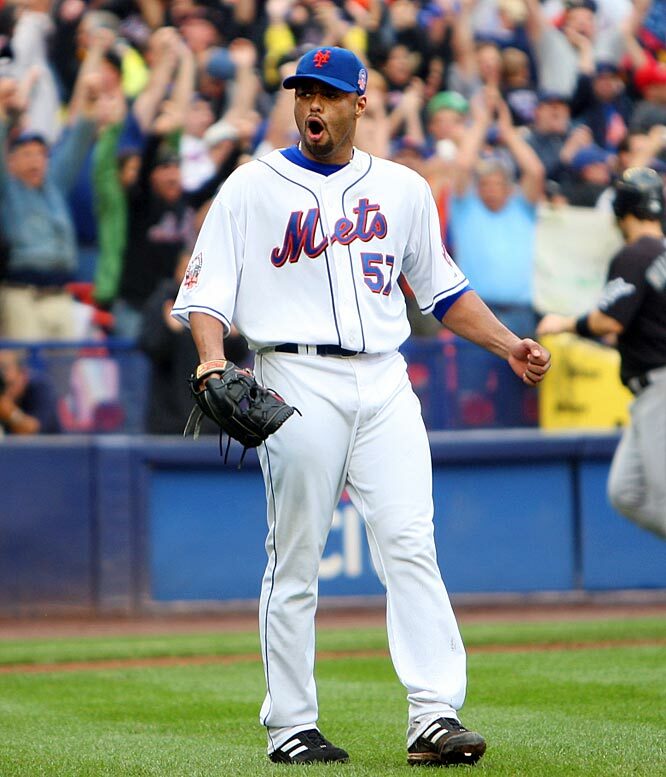 His eight strikeouts Tuesday gave him 230 this season, most by a Met since David Cone had 241 in 1991. 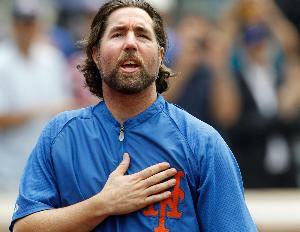 Dickey logged 233 2/3 innings, most by a Met since Johan Santana tossed 234 1/3 innings in 2008. Clayton Kershaw (13-9) has an NL-leading 2.58 ERA as well as 221 strikeouts — nine shy of Dickey’s total — entering Wednesday’s scheduled start for the Los Angeles Dodgers. Gio Gonzalez‘s 21 wins with the Washington Nationals will lead the league. Dickey said he often wondered whether his remarkable season would be derailed by the injury. 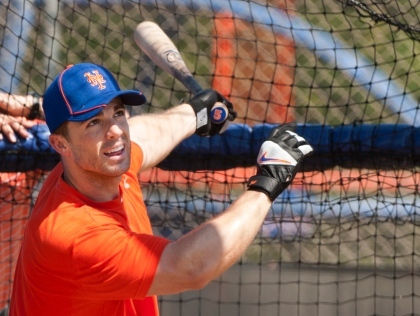 Said manager Terry Collins: “First of all, he was absolutely brilliant all season long. From early in the year, he never let anything get in the way. Everybody is motivated by all the excitement he created, the run he had, the back-to-back one-hitters, the running up the W’s, being the guy. It was a tremendous year for him. I’m very, very proud of him. I’m very proud of what he’s done, what kind of person he is. 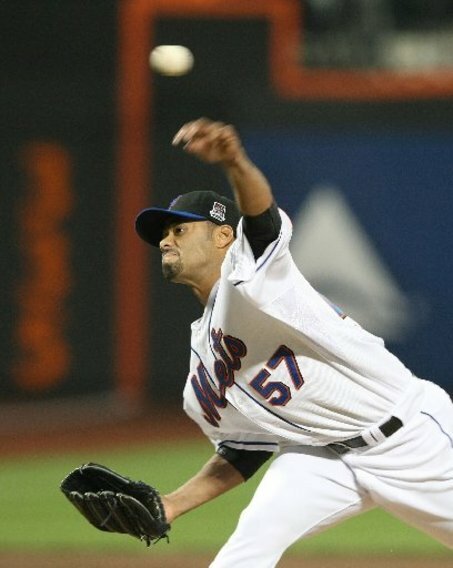 In Port St. Lucie today, New York Mets ace Johan Santanathrew to live batters for the first time since the fall. Santana threw a total of 43 pitches to Mets hitters, including David Wright, Ike Davis and Daniel Murphy, during a pair of simulated innings. It was Santana’s first time in a game-like setting since being shut down for winter rest following a simulated game against Mets minor leaguers participating in the fall instructional league in Fort Myers, Fla.
Santana, who did not appear in the majors last season, is trying to return from Sept. 14, 2010 surgery to repair a torn anterior capsule in his left shoulder. He is scheduled to make his first Grapefruit League start Tuesday against the St. Louis Cardinals. 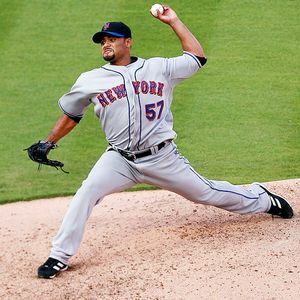 Manager Terry Collins plans for Santana to start Opening Day on April 5 against the Atlanta Braves at Citi Field.